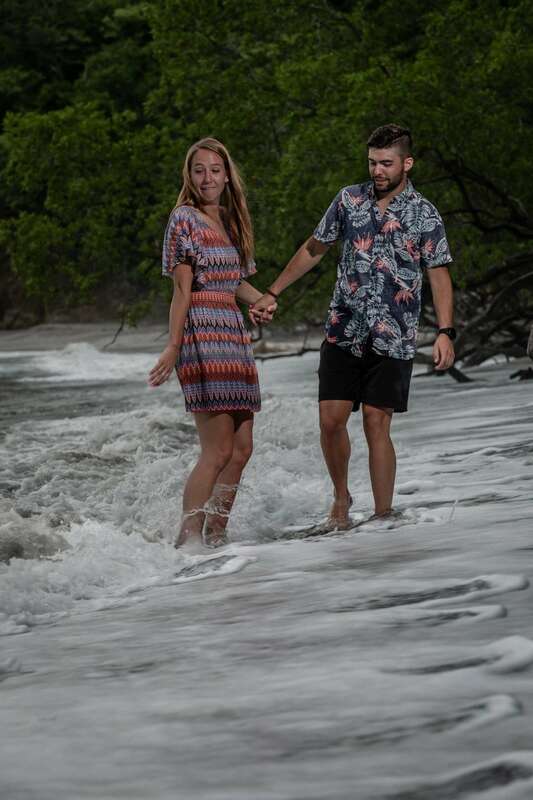 She thought she was just going for a romantic walk with her high-school sweetheart on a gorgeous beach in Costa Rica at sunset on the last day of their trip. Little did she know, Seth had been planning this moment for months. When Seth kneeled to ask for her hand, Erin did not quite know what was going on. When she realized Seth was proposing, there was no restraining her emotions. It was a beautiful moment! By the way, she said "Yes!". 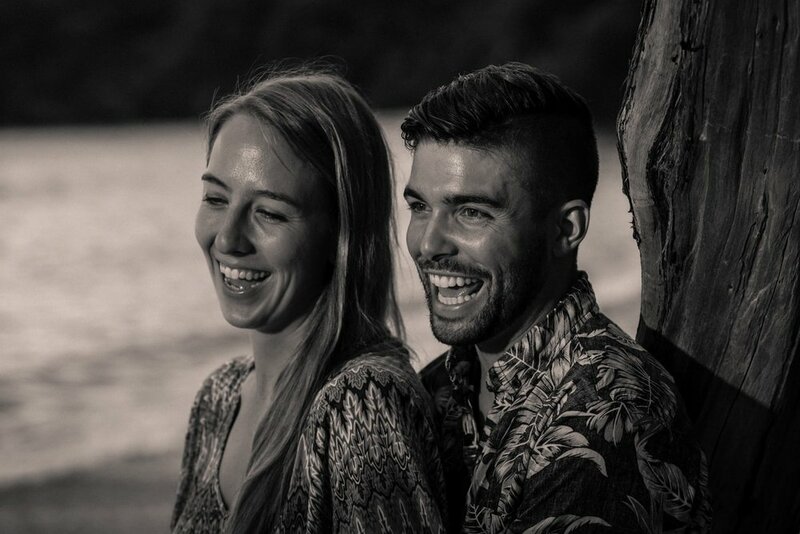 Most of the engagement session we photograph are of couples who are already engaged. Once in a while, however, we get the chance to take photos of the actual moment when he pops the question. We truly love these sessions!! They are memorable, unique moments we have the privilege of witnessing and capturing in photos. 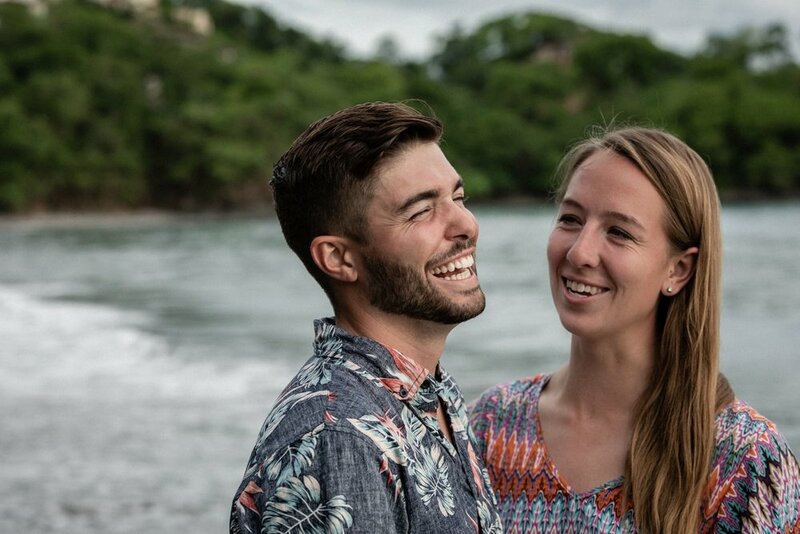 After having coordinated with Seth for months regarding where and when to propose to Erin, he settled on Las Catalinas Beach in Guanacaste. On the of the engagement, we arrived about an hour early at Limonada Restaurant so when they arrived, Erin would think we were just a couple taking photos of the beautiful surroundings. While waiting, we noticed there were several iguanas that lived there. There was one in particular - it was about 3' in length - that would climb down from a tree when a server brought food to a table and would beg like a dog. Back to the story. When Seth, Erin, her sister, and friends arrived, they got a table. We waited a bit and then went to the beach and feigned taking photos of the area. Shortly afterwards, Seth asked Erin to go with him to the beach. 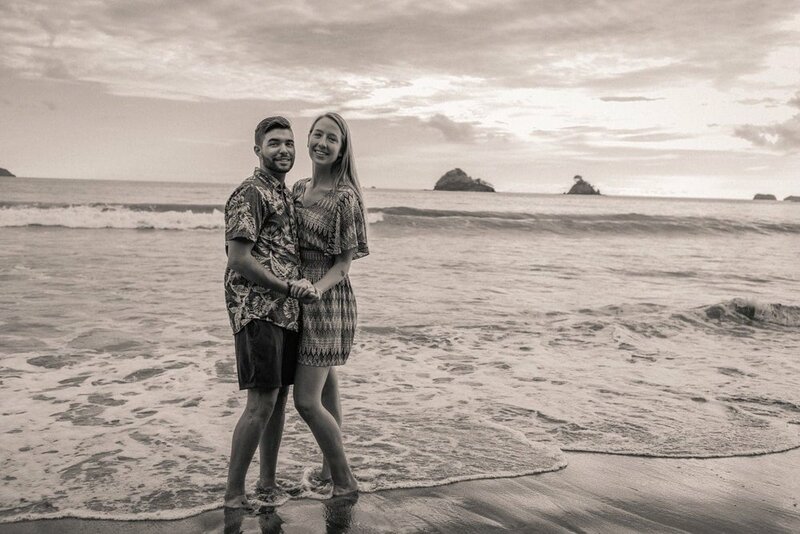 As they stood on the beach, we casually positioned ourselves to get the best photos of the proposal and of the scenery. I don't think Erin even saw us as Seth's kneeling captured all her attention. Sometimes, when photographing these moments, we have to be careful not to get caught up in the moment, to not forget we're there to take pictures of it. It's easy to get lost in the moment!